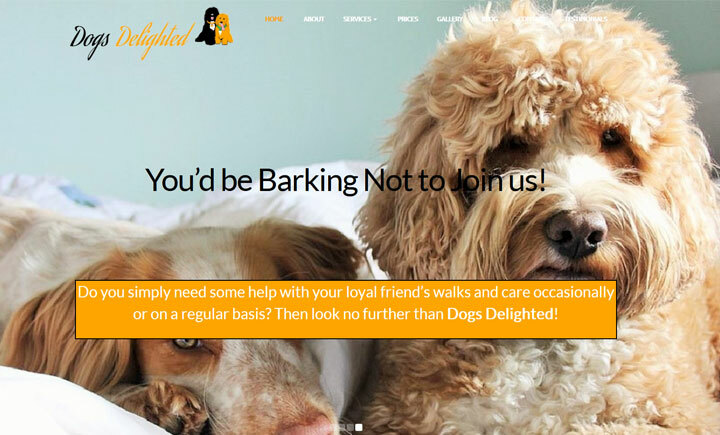 Dogs Delighted offer a dog walking and dog boarding service to dog owners in the Tadworth, Surrey and South London areas. CRB checked and fully insured, you can be rest assured that your dog is in safe hands and will be delighted with us! Dogs Delighted’s aim is to provide you and your dog a professional, friendly and social service which is suited to you and your dog individual needs. As dog lovers we will provide the same love and affection to your dog as we would our own. We love to make friends and build trust with your dog making our time together stress free and most importantly fun.